One student said it was like a "$13,000 e-book"
Why it matters: Not only is Steve Wozniak a respected figure in the tech world, but the Apple co-founder is also considered to be one of the nicest guys in the industry. So, it comes as something of a surprise to learn that his online coding program, Woz U, is being criticized by former students and employees over its apparent problems. As reported by CBS News, having Wozniak's name attached to the course brought thousands of inquiries from potential students, but it seems the 33-week program’s $13,200 fee wasn’t an indication of its quality. Some of the complaints from former students include typos in the teaching materials—bad enough at the best of times but especially problematic when it causes errors in the code and pupils can’t figure out why. Other problems are said to have included “live lecturers” that were pre-recorded and out of date, unqualified student mentors, and, at one point, a course without an instructor. "I feel like this is a $13,000 e-book," said ex-student Bill Duerr, a former nuclear specialist with the Navy. "It's broken, it's not working in places, lots of times there's just hyperlinks to Microsoft documents, to Wikipedia." Many other former students and employees had similar complaints, some of which were posted on the Woz U Slack channel. CBS News also talked to a one-time enrollment counselor, Tim Mionske, who described the main part of the job: “It is drive, drive, drive the sales.” Mionske was laid off last June when his enrollment numbers started to fall. 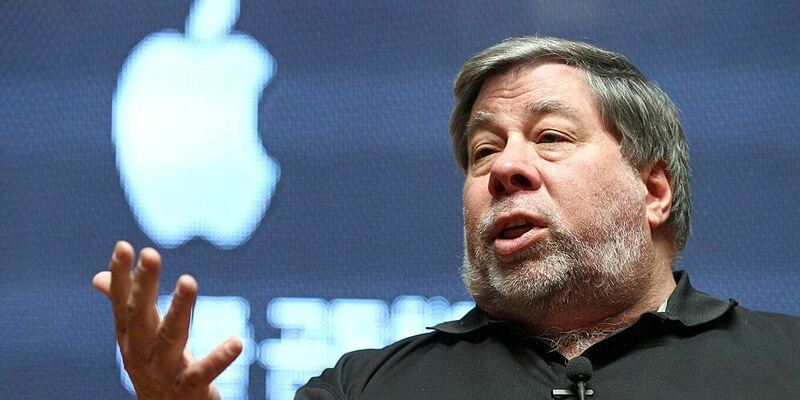 Wozniak declined several requests to be interviewed about the program. Woz U President Chris Coleman has since acknowledged errors in the course content and said a quality control system has been implemented to catch them. He added that Wozniak reviews the program’s curriculum.